SUNRISE, FL – March 13, 2019 – U.S. 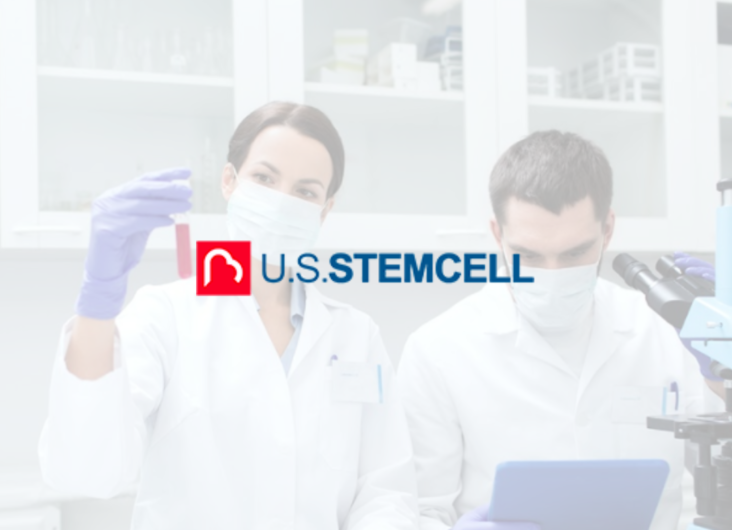 Stem Cell, Inc. (OTC: USRM), a leader in the development of proprietary, physician-based stem cell therapies and novel regenerative medicine solutions, today announced positive financial results for the year ended December 31, 2018. Consistent with performance for the past two years, revenue continues to increase, up 21% or $1.2m for year-end, 2018 compared to 2017, from $5.5m to $6.7m. Likewise, for the three months ended December 31, 2018, the Company reported a $190k or 13% increase in revenue, from $1.5m to $1.7m, compared to the same period last year. “It is remarkable to watch demand increase for stem cell therapy, as more and more Americans are exploring this option as a solution for chronic pain,” said Mike Tomas, President and CEO of U.S. Stem Cell, Inc. “We are on the cusp of regenerative medicine becoming a more integral part of patient plan of care,” said Tomas. Net increase in gross profit margin for year end 2018 compared to 2017 is 26%, or $955k, from $3.6m to $4.6m. Likewise net increase in gross profit margin for the three months ended December 31, 2018, compared to the same period in 2017, is 25%, or $232k, from $936k to $1.2m. Operating expenses increased 28%, from $4.4m to $5.7m for the year end, and 55% from $784k to $1.2m for the three months ended Dec. 31, mostly due to stock-based and other employee compensation. Non-cash compensation for the year and for the three months ended Dec. 31 also increased, from $645k to $1.2m and from $83k to $416k, respectively. Net operating (loss) was $1.1m for 2018, compared to $805k for 2017. For the three months ended December 31, 2018, net operating (loss) was $47k compared to a profit of $152k for the same period last year. Currently, Americans have the option to either utilize their own healing stem cells harvested from fat or bone marrow or to use tissue-based products like those from birth tissue or cord blood. Dr. Kristin Comella, USRM’s Chief Science Officer, is one of the most published scientists in the world on autologous adipose stem cell therapy. She and her colleagues have published several articles in the past few months regarding the benefits of autologous stem cell therapy for chronic conditions, including decubitus ulcers (perpetual sores common in spinal injury patients and the elderly); meniscal tears, and psoriasis. Chronic conditions can cause chronic pain — the source of a national opioid epidemic which The New York Times reports is the leading cause of death for Americans under the age of 50. Autologous stem cell therapy involves taking a small sample of a patient’s fat and separating the stem cells from the fat or adipose tissue. Because there are 500 times more stem cells from fat as compared to bone marrow (and much less invasive to retrieve), the protocol has begun to attract more and more patients in the United States, even though the treatment has been available abroad and offshore for many years. U.S. Stem Cell, Inc. is a leader in the regenerative medicine / cellular therapy industry specializing in physician training and certification and stem cell products including its leading therapy Adipocell™, as well as veterinary stem cell training, stem cell banking, and the creation and the management of stem cell clinics. To management’s knowledge, USRM has completed more autologous stem cell clinical treatments than any other stem cell company in the world. SUNRISE, FL – January 15, 2019 – U.S. 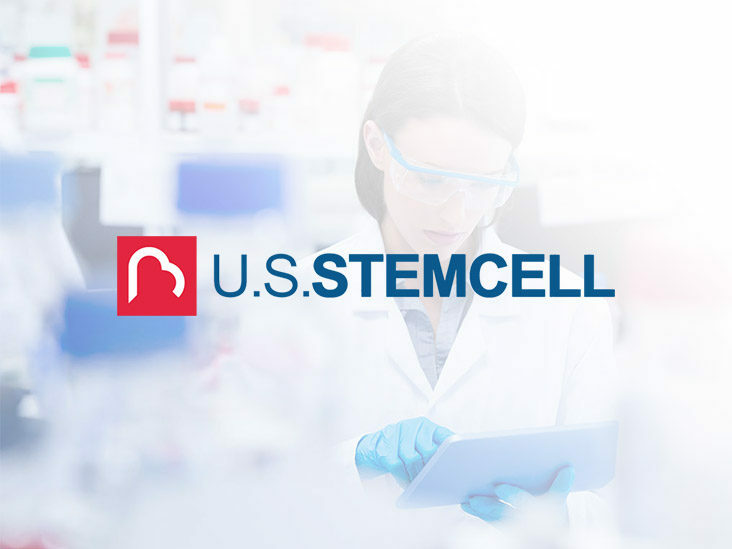 Stem Cell, Inc. (OTC: USRM), a leader in the development of proprietary, physician-based stem cell therapies and novel regenerative medicine solutions, today announced its Chief Science Officer has been featured on Patrick Timpone’s One Radio Network. Playback of the interview is available here. Dr. Kristin Comella, who has been frequently published in the scientific literature on the use and application of autologous (a patient’s own) adipose-derived stem cells, will speak on her expertise in the autologous stem cell space. Americans’ interest in stem cell therapy continues to grow, demand for Dr. Comella to present on the topic continues to increase. Currently, Americans have the option to either utilize their own healing stem cells harvested from fat, bone marrow or to use tissue-based products like those manufactured from birth tissue or cord blood. In the past twelve months alone, Dr. Comella has published several articles regarding the benefits of autologous stem cell therapy for chronic conditions, including decubitus ulcers (perpetual sores common in spinal injury patients and the elderly); meniscal tears, and psoriasis. Chronic conditions can cause chronic pain — the source of a national opioid epidemic which The New York Times reports is the leading cause of death for Americans under the age of 50. Autologous stem cell therapy involves taking a small sample of a patient’s fat and separating the stem cells from the fat or adipose tissue. Because stem cells from fat are 500 times more plentiful than stem cells harvested from bone marrow (and much less invasive to retrieve), the protocol has begun to attract more and more patients in the United States, even though the treatment has been available abroad and offshore for many years. SUNRISE, FL – November 9, 2018 – U.S. Stem Cell, Inc. (OTC: USRM), a leader in the development of proprietary, physician-based stem cell therapies and novel regenerative medicine solutions, today announced its Chief Science Officer, Dr. Kristin Comella, has appeared on the Robert Scott Bell Show to talk about health freedom and autologous stem cell therapy. The interview can be listened to in its entirety here. Autologous (a patient’s own) stem cell therapy is currently being researched in autoimmune, neurological, orthopedic and degenerative conditions. As one of the world’s leaders in autologous stem cell therapy, Dr. Comella is extensively published in peer reviewed scientific publications indexed on Pubmed in the field of regenerative medicine. This year thus far, she has published several peer reviewed papers demonstrating the benefits of autologous stem cell therapy for chronic conditions, including decubitus ulcers (perpetual sores common in spinal injury patients and the elderly); meniscal tears, and psoriasis. Chronic conditions can cause chronic pain — the source of a national opioid epidemic which The New York Times reports is the leading cause of death for Americans under the age of 50. Through Dr. Comella’s leadership, she and her team have trained and certified more than 700+ physicians worldwide in stem cell therapy. She was named number 24 on Terrapin’s list of the Top 50 Global Stem Cell Influencers and no. 1 on the Academy of Regenerative Practices’ list of Top 10 Stem Cell Innovators. She also made the list of Top 50 Functional and Integrative Medical Doctors/Scientists in the country by DrAxe.com, one of the most visited natural health websites in the world. 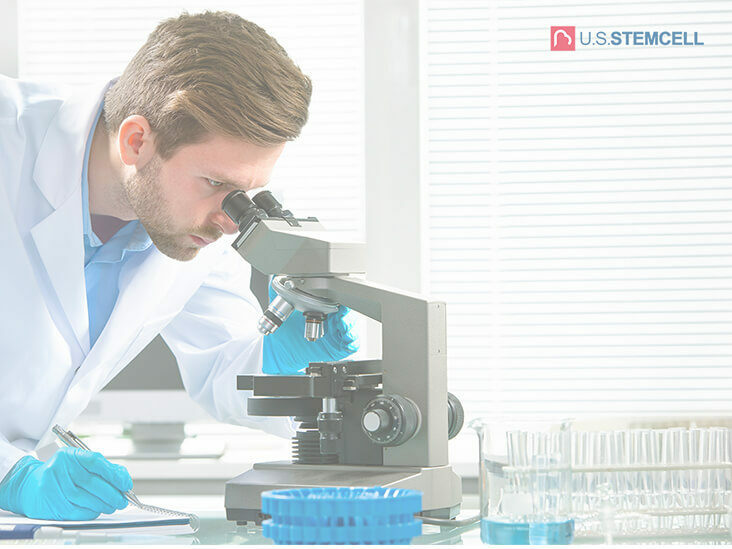 Autologous stem cell therapy involves taking a small sample of patient’s fat and separating the healing stem cells from the fat or adipose tissue. Fat tissue has a higher amount of stem cells than bone marrow and is much less invasive to retrieve. The healing stem cells are then re-injected locally into a joint or used intravenously for systemic circulation where they may repair damaged tissue in the body. Once the stem cells are separated out from the patient’s own fat, they are simply relocated in their body. Six days a week, Robert Scott Bell empowers his listeners with healing principles. He hosts two hours of informational radio dealing with everyday health issues from the perspective of alternative/holistic health care. He also fearlessly tackles the tough issues including confronting government and corporations who would stand in the way of health freedom. Bell has personally overcome numerous chronic diseases using natural healing principles, and has dedicated his life to revealing the healing power within all of us. He is a well-known and respected member of the health community and has access to guests from every specialty and practice to better equip listeners to heal themselves from the inside out. SUNRISE, FL – November 06, 2018 – U.S. Stem Cell, Inc. (OTC: USRM), a leader in the development of proprietary, physician-based stem cell therapies and novel regenerative medicine solutions, today announced third quarter results for this year and comparatively from last year, for the nine months ended Sept. 30, 2018. As has been the trend for the past several years, revenue continues to rise — almost $1M or 25% for the period compared to the same period last year — from $4.04M in 3Q 2017 to $5.03M in 3Q 2018. Gross profit margins also increased, $723K or 26.8%, from $2.69M to $3.42M for the same time period. Operating expenses decreased $850K or 42%, from $2.02M to $1.17M. Net Loss from operations decreased $838K or 79.3%, from $1M to $218K during the same nine months ended this year versus last. For two consecutive years, U.S. Stem Cell, Inc., has continued to sustain substantial revenue growth, which may be attributable to an increased awareness of stem cell therapy, as Americans seek alternatives to pain management and opioids. The Company has also been instrumental in providing more than ten thousand stem cell procedures in the past 19 years for a variety of indications, including orthopedic, autoimmune, degenerative and neurological diseases. USRM also trains and certifies physicians in stem cell therapy — to date, more than 700+ physicians worldwide — and has engaged with more than 288 clinics. SUNRISE, FL – October 1, 2018 – U.S. Stem Cell, Inc. (OTC: USRM), a leader in the development of proprietary, physician-based stem cell therapies and novel regenerative medicine solutions, today announced its Chief Science Officer, Dr. Kristin Comella, was featured on this week’s Sunday edition of YourVoiceTM America — a fast-growing, internet broadcasting platform reaching millions of people each month. The episode, which aired Sunday, September 30 at 8 p.m., can be viewed here. YourVoiceTM America was founded in the wake of (weekday host) Bill Mitchell’s 90+ million Twitter hits on election night and become a strong platform for President Trump and the MAGA message. The “Faith & Freedom” edition, hosted by successful business mogul Leigh Valentine, covers political, spiritual and lifestyle issues on Sunday nights at 8 PM EST. USRM has been instrumental in providing more than ten thousand stem cell procedures during the past 19 years for a variety of indications — including orthopedic, autoimmune, degenerative and neurological diseases. USRM also trains and certifies physicians in stem cell therapy — to date, more than 700+ physicians worldwide — and has engaged with more than 288 clinics. USRM continues to sustain substantial revenue growth and has done so for two consecutive years, which may be affiliated with increasing awareness of stem cell therapy as Americans are starting to seek alternatives to pain management and opioids. U.S. Stem Cell, Inc. is a leader in the regenerative medicine / cellular therapy industry specializing in physician training and certification and stem cell products including its lead therapy Adipocell™, as well as veterinary stem cell training, stem cell banking, and the creation and the management of stem cell clinics. To management’s knowledge, USRM has completed more clinical treatments than any other stem cell company in the world. SUNRISE, FL – September 26, 2018 – U.S. Stem Cell, Inc. (OTC: USRM), a leader in the development of proprietary, physician-based stem cell therapies and novel regenerative medicine solutions, today announced its Chief Science Officer, Dr. Kristin Comella, will be featured alongside other top doctors in the upcoming webinar summit, the Fix for Female Hormones. Hosted by Misty Williams, the summit provides a platform for alternative and medical health professionals to weigh in on options for women seeking education and information about ways to create and establish optimal hormonal health. Dr. Comella will present about understanding regenerative medicine; protecting telomeres and supporting healthy aging; ways to support hormones and restore sexual response, and heal exhaustion. Dr. Comella’s segment will air for the first time on Oct. 6. To learn more about the summit, which is free, click here, https://fixforfemalehormones.com/. Under Dr. Comella’s leadership, USRM has been instrumental in providing more than ten thousand stem cell procedures in the past 19 years for a variety of indications, including orthopedic, autoimmune, degenerative and neurological diseases. USRM also trains and certifies physicians in stem cell therapy — to date, more than 700+ physicians worldwide — and has engaged with more than 288 clinics. Thank you for your continued interest and support in U.S. Stem Cell, Inc.’s recent developments and achievements. 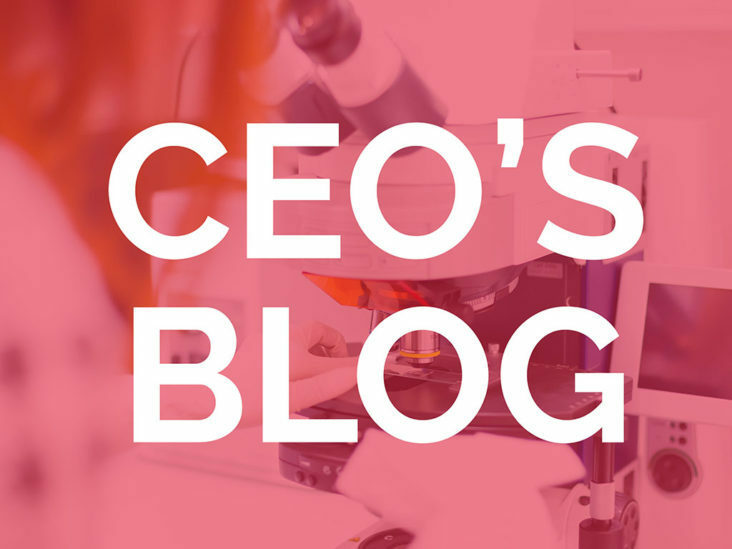 As we continue to grow, our main focus continues to be our mission of discovering, developing, and commercializing cell-based regenerative therapies. As a result, we’ve had a summer full of accomplishments and events which we would like to share with you here. First and foremost, please join us in welcoming our newest Senior Vice President of Sales, Phil Posa. Phil’s most recent role as Executive and CEO at Stem Cell Centers of Idaho, combined with his 30+ years’ extensive experience in the regenerative/medical device & pharmaceutical industries including Abbott Pharmaceuticals, make him the perfect addition to our senior management at a time when we are focused on expansion and diversification company wide. While at Stem Cell Centers of Idaho, Phil restructured patient flow which allowed the company to identify ways to improve conversion rates, service and best possible outcomes. The results helped bring sales to an all-time monthly high, resulting in a new benchmark for the company’s profitability and the launch on average of one clinic per month. It also launched regenerative medicine into traditional insurance reimbursement medical practices, thereby converting them into ‘white glove’ concierge care cash practices. We are certain Phil’s proven expertise and background are an incredible asset to our team, and we are looking forward to growth in our domestic and international markets under his leadership and guidance. You can read more about Phil’s background here. We are also delighted to announce that during the second quarter of this year we achieved the benchmark of increased revenue for our tenth consecutive quarter, up 31% from the same quarter last year from $1.39m to $1.82m. Our profit margin also increased, from 67% in the second quarter of 2017 to 69% for the second quarter of 2018. Additionally, our gross profit rose 35% from the second quarter of 2017, increasing from $934k to $1.25m. This has been a period of continued growth for the last two consecutive years. We believe this may be due in part to the increased awareness of stem cell therapy amongst prospect patients in the US and abroad. Furthermore, an increase in market demand can be attributed in part to patients seeking an alternative to opioids, as well as physicians looking to advance their skill sets. In June our Chief Science Officer, Dr. Kristin Comella, presented at the Fifth Annual Cell Surgical World Conference in Beverly Hills at the Beverly Hilton Hotel. Dr. Comella, who is well recognized for her unparalleled dedication and leadership in the development and application of clinical practices in the world of autologous stem cell therapies, presented to an audience of doctors from around the world. Her enthusiasm was well received as many continue to admire her for her persistence, expertise and vigor in advancing the narrative of autologous stem cell therapy, and attendees at the conference were explicit and open in expressing their admiration. On the scientific front, we recently made an exciting breakthrough in autologous stem cell therapy from fat tissue by successfully repairing the torn meniscus of a 56-year-old patient. Meniscal injuries are recognized as the most common knee injury among Americans and without this regenerative therapy are often only repairable by surgery. According to the scientific paper by Dr. Comella published in the Journal of Medical Cases, the patient treated for chronic meniscus injury reported no adverse events in the 12 months following treatment, as well as expressing reduction in pain and an overall improvement in quality of life. Physicians confirmed a complete resolution via arthroscopic evaluation of the tear 9 months after treatment. We are also pleased to announce we have launched participation in “Renewing our Heroes,” a charitable health initiative for civil service personnel that has been making USRM stem cell therapies and protocols accessible to first responders and those who voluntarily put their well-being on the line every day. Firefighters, paramedics, military officials, police officers and other civil-service professionals can now have access to medical care that otherwise may have been unattainable. It is an exciting indication that we are able to reach more Americans today than have ever had access to regenerative therapy in the past, and we are delighted that those who serve us now have access to a new standard of care. Our dedication to making regenerative medicine the new health standard continues to be unwavering. As we progress, we invite you to learn more about the aforementioned events and milestones, as well as staying up-to-date with future announcements, by reading the press releases on our news page which can be found here. Thank you again for your interest and ongoing support. SUNRISE, FL – September 11, 2018 – U.S. 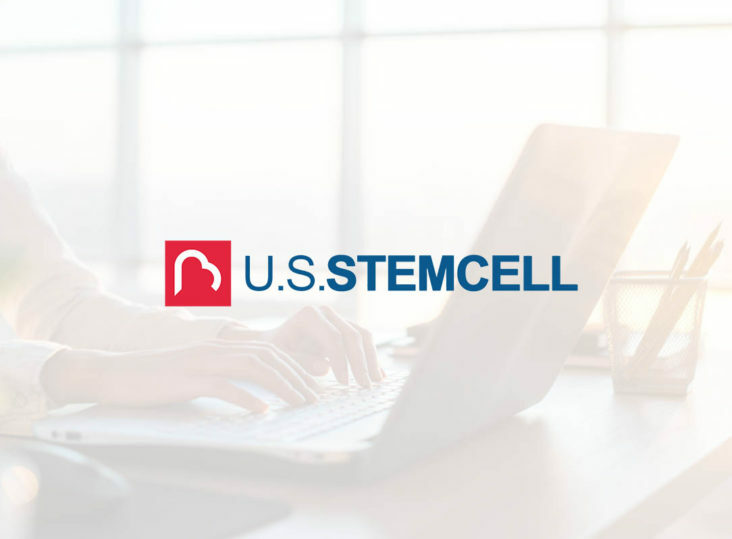 Stem Cell, Inc. (OTC: USRM), a leader in the development of proprietary, physician-based stem cell therapies and novel regenerative medicine solutions, today announced Phil Posa has joined its executive management team as Senior Vice President of U.S. & International Sales. Posa, who brings more than 30 years of experience in the pharmaceutical, medical device and regenerative spaces, most recently served as an Executive and CEO at Stem Cell Centers of Idaho, where he assisted in the launch and management of new and existing clinics — at a rapid growth rate of approximately one clinic per month. As part of the management process, Posa maintained quality control and efficiency company wide, starting with the successful negotiation of contracts with manufacturers and suppliers to provide the best possible product at the lowest possible cost. He was also responsible for successfully designing and initiating a shift in training curriculum by emphasizing a focus on marketing, product and protocols for treatment and conditions, which resulted in the incorporation of a seamless program for patient flow thereby allowing the company to track from lead generation to patient satisfaction following treatment. By focusing on conversion rates, service and best possible outcomes, Posa’s successful approach in design, implementation and execution helped bring sales to an all-time monthly high, resulting in a new benchmark for the company’s profitability. It also launched regenerative medicine into traditional insurance reimbursement medical practices, thereby converting them into ‘white glove’ concierge care cash practices. Prior to his tenure at SCC, Posa also served as Senior Vice President U.S. & International Sales for Whale Imaging, Boston, and Skyline Medical, of Minnesota, respectively. He received his MBA from Rivier College in New Hampshire, and a bachelor’s degree in Biology from Stony Brook University in Stony Brook, NY. He also was certified as a Public Health Advisor by the State of New York, and as an epidemiologist by the Centers for Disease Control (CDC). SUNRISE, FL – August 8, 2018 – U.S. 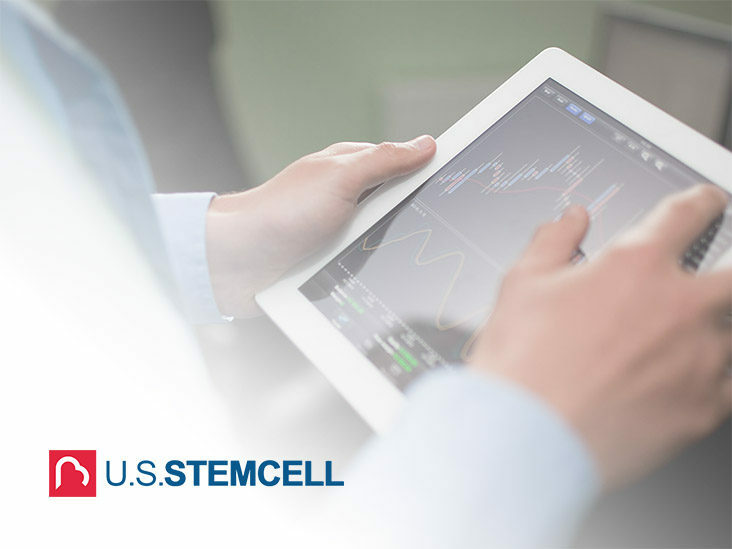 Stem Cell, Inc. (OTC: USRM), a leader in the development of proprietary, physician-based stem cell therapies and novel regenerative medicine solutions, today announced results for its second quarter in 2018 — the 10th consecutive quarter where revenue has increased. For the quarter ending June 30, 2018, the Company posted a revenue increase of 31% to $1.82m, up from $1.39m for the second quarter of last year. Revenue also increased for the six months ended June 30, 2018, to $3.53m, up 39% from $2.54m for the same period last year. Profit margin for the second quarter also increased, to 69% from 67% for the same period last year, and profit margin for the first six months of this year increased to 70% from 68% in the first six months of 2017. Gross profit was also up for both periods, with a 34% increase to $1.25m from $934k for the second quarter, and a 43% increase to $2.46m from $1.73m for the six-month period. For two consecutive years, USRM has continued to sustain substantial revenue growth, which may be attributable to an increased awareness of stem cell therapy, as Americans seek alternatives to pain management and opioids. USRM has been instrumental in providing more than ten thousand stem cell procedures in the past 19 years for a variety of indications, including orthopedic, autoimmune, degenerative and neurological diseases. 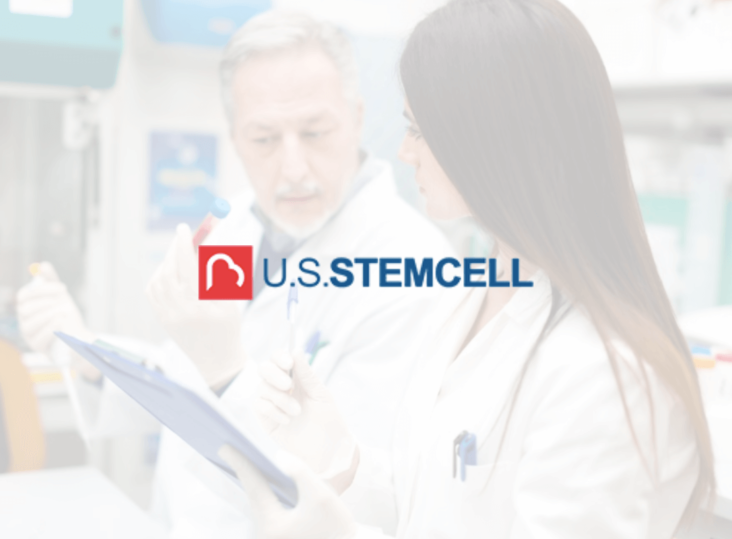 USRM also trains and certifies physicians in stem cell therapy — to date, more than 700+ physicians worldwide — and has engaged with more than 288 clinics. SUNRISE, FL – July 10, 2018 – U.S. Stem Cell, Inc. (OTC: USRM), a leader in the development of proprietary, physician-based stem cell therapies and novel regenerative medicine solutions, today announced it has demonstrated successful, in-human results in repairing meniscus tear after autologous stem cell therapy from adipose or fat tissue. Results are published in the scientific publication the Journal of Medical Cases, and is authored by USRM Chief Science Officer Dr. Kristin Comella and colleagues Dr. Scott Greenberg of the Magaziner Center for Wellness, and Dr. Laura Ross of Ross Orthopedic. Meniscal injuries are the most common knee injury in the United States with an annual average of incidence of 66 per 100,000, according to a 2014 article in the Journal of Orthopedics. Approximately 850,000 patients each year are surgically treated — often arthroscopically — for meniscal injuries. The paper outlines the case study of a 56-year-old male with a chronic meniscus injury. During the 12-month follow-up period, the patient reported a reduction in pain and an improvement in knee function. Figure 1a shows a tear at baseline on the posterior horn of the medial meniscus, while Figure 1b, taken 9 months after the first injection shows complete resolution of the tear. The healed tear could not be penetrated by the probe. The arthroscopic images showing resolution were also consistent with quality of life improvements for the patient, including a reduction in pain and resumption of normal activities. The patient experienced very little downtime and was able to resume normal activities in less than 1 week. Dr. Comella, who has more than 20+ years’ experience, is recognized worldwide by her peers as an innovator and world leader in the development and clinical practice of stem cell products and therapies. USRM has been a part of more than 10,000 stem cell procedures in the past 19 years for a variety of indications including orthopedic, autoimmune, degenerative and neurological diseases. SUNRISE, FL – June 5, 2018 – U.S. Stem Cell, Inc. (OTC: USRM), a leader in the development of proprietary, physician-based stem cell therapies and novel regenerative medicine solutions, today announced Renewing Our Heroes — a charitable health initiative established to provide first responders and other civil service personnel with access to alternative medical care they would otherwise be unable to obtain — will now offer USRM stem cell procedures and protocols to its recipients following injuries and conditions that occur in the line of duty. Established by Joseph Radich, Founder and Clinical Director of RenewU Medical and son of an actively serving New York City firefighter, Renewing Our Heroes was created as a charitable health initiative to help individuals who voluntarily and without hesitation put their bodies, minds, families and lives on the line every day. Dr. Kristin Comella, USRM’s Chief Science Officer, is one of the most published scientists in the world for the clinical application of autologous fat derived stem cell therapies. She is also President of the Academy of Regenerative Practices, and is a leading voice in the power of regenerative medicine. Dr. Comella’s leadership role inspires other organizations and physicians — 700+ clinicians and 287+ clinics worldwide — many of whom train and certify with her and the team at the U.S. Stem Cell Clinic in Sunrise, Florida. To donate to Renewing Our Heroes, click here. SUNRISE, FL – June 1, 2018 – U.S. Stem Cell, Inc. (OTC: USRM), a leader in the development of proprietary, physician-based stem cell therapies and novel regenerative medicine solutions, today announced its Chief Science Officer, Dr. Kristin Comella, will be presenting at the Fifth Annual Cell Surgical World Conference in Beverly Hills this Saturday, June 2. Dr. Comella is, to the Company’s best knowledge, one of the most published scientists in the clinical use of fat derived autologous stem cells. Her work in the application of autologous (a patient’s own) stem cell therapy is unparalleled, and includes autoimmune, neurodegenerative, orthopedic and degenerative conditions. To date, the company has worked with more than 10,000 patients and trained more than 700+ physicians worldwide. The conference, which is hosted by the International Cell Surgical Society, features three different tracks to fit interest levels and backgrounds of all types and includes hands-on training and certification in the practice of autologous stem cell therapy. The Science Only, Physician Practicum, and Physician Practicum Plus Mini-Liposuction Certification and Training tracks provides doctors from around the world access to two days of science in lecture format; a Friday night and Saturday night social cocktail and charity dinner gala at the iconic Beverly Hilton Hotel. U.S. 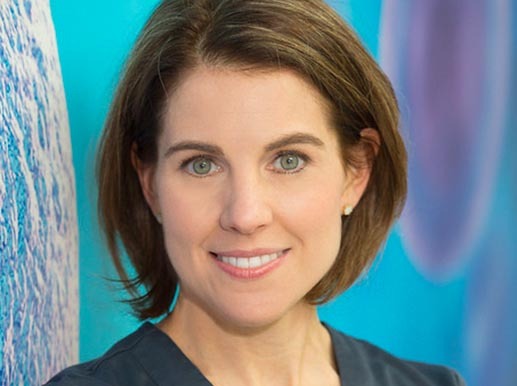 Stem Cell, Inc., and Dr. Kristin Comella, have taken a leadership role worldwide in the development of adipose-derived, autologous stem cell therapy. In addition to serving as the Chief Science Officer, Dr. Comella is also President of the Academy of Regenerative Practices and is a leading voice in recognizing the power of regenerative medicine. Along with the 700+ physicians and clinicians she has trained, she and USRM also have a presence with 287+ clinics around the world — many of which feature clinicians that are trained and certified in stem cell therapy by Dr. Comella and her team.